The death of Stephen Hawking on 14 March involved this author in four separate Facebook debates. Many comments were simply ignorant attacks on me for having the gall to attack the conclusions of the great scientist, some sneering bigots who were open renegades from Trotskyism, former comrades who wanted to ingratiate themselves with the capitalist establishment vis Labour reformism to enhance future career prospects by attacking revolutionary Trotskyism. Although Hegel was — with Saint-Simon — the most encyclopaedic mind of his time, yet he was limited, first, by the necessary limited extent of his own knowledge and, second, by the limited extent and depth of the knowledge and conceptions of his age. To these limits, a third must be added; Hegel was an idealist. To him, the thoughts within his brain were not the more or less abstract pictures of actual things and processes, but, conversely, things and their evolution were only the realized pictures of the “Idea”, existing somewhere from eternity before the world was… The Hegelian system, in itself, was a colossal miscarriage — but it was also the last of its kind… A system of natural and historical knowledge, embracing everything, and final for all time, is a contradiction to the fundamental law of dialectic reasoning. This law, indeed, by no means excludes, but, on the contrary, includes the idea that the systematic knowledge of the external universe can make giant strides from age to age. 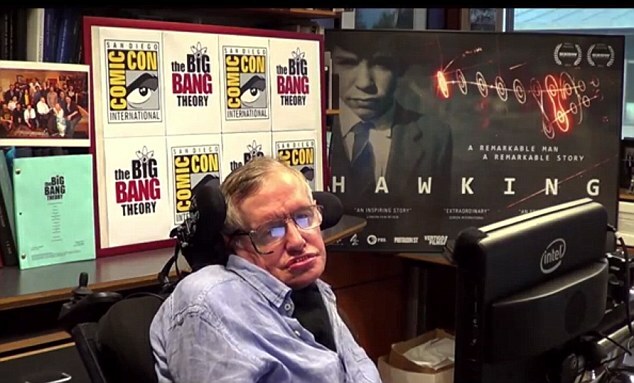 Hawking’s philosophical backwardness showed itself in his lack of understanding of time and motion and change; his acceptance is that of the common sense understanding of these concepts, although he constantly encountered the contradictions to these views. Time is a measure of the movement of matter. Matter contains motion as one of its essential properties; there is no matter without motion and no motion without matter; they exist in a dialectical relationship. Matter and energy are also mutually linked dialectically, light is both three-dimensional waves and a group of corpuscles at the same time. Everything in the universe and multiverse are interlinked and mutually dependent. To the metaphysician, things and their mental reflexes, ideas, are isolated, are to be considered one after the other and apart from each other, are objects of investigation fixed, rigid, given once for all. He thinks in absolutely irreconcilable antitheses. For him … cause and effect stand in a rigid antithesis one to the other. At first sight this mode of thinking seems to us very luminous, because it is that of so-called sound common sense. Only sound common sense, respectable fellow that he is, in the homely realm of his own four walls, has very wonderful adventures directly he ventures out into the wide world of research. And the metaphysical mode of thought … sooner or later reaches a limit, beyond which it becomes one-sided, restricted, abstract, lost in insoluble contradictions. In the contemplation of individual things, it forgets the connection between them; in the contemplation of their existence, it forgets the beginning and end of that existence; of their repose, it forgets their motion. It cannot see the wood for the trees. As we have observed time is a measure of the movement of matter. Back in 350 BC Aristotle had the following to say about time and motion. Despite his declared atheism his belief that the universe and time has a beginning about 15 billion years ago and universe and time will end some 20 billion years hence is, in fact, just a pseudo secular version of the creation/last day bible story. The Vatican has endorsed the Big Bang theory because Marxist materialist understanding is there was no beginning and there will be no end of time and matter, just constantly changing forms of matter and energy with movement itself as the essence of nature. Postulating a dead, motionless period before the Big Bang, and another one after the end lets God in by the back door and that is why the Vatican, four Popes now, have endorsed it. That version of the Big Bang theory is wrong as is the notion that all the matter in the universe could come together in a single place. If the universe is infinite, then the matter in the universe is infinite; a fraction of infinity is itself infinity. It could not be reduced to a single point in a single place. That there were and will be an infinite number of Big Bangs in an infinite number of locations in an infinite number of universes (multiverse) on an infinite time scale is the only logical conclusion. This conclusion he drew below is therefore wrong. There are Tory atheists and liberal atheists, but Marxism is atheistic because it replaces God with nature and fixed categories with eternal movement and change and quantity transforming into quality in the negation of the negation. Hence no God but the organised working class under revolutionary internationalist leadership can liberate humanity. And for that you must read your Marx and Engels and Lenin and Trotsky in particular to be a competent Marxist. Religion was an integrated world outlook; bourgeois nationalism is limited to the nation as in the ridiculous nerve gas Putin did it nonsense. 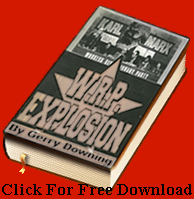 Marxism is also an integrated world outlook that supersedes religious prejudices about the New Jerusalem after we are dead with one here in the whole planet, world revolution. That is a religious incomprehension of infinity. From the other side. Integral calculus solved the old fixed categories by approximating motion in mathematical terms. The Catholic or any other Church or religion has not now become progressive and accepted modern science. The poverty of philosophy lies in the so-called Marxists who do not understand the dialectic and who think Hawking is correct and philosophy is irrelevant, that science has done away with the need for Marxism. He was a backward man where philosophy is concerned, he regarded it with contempt, hence his acceptance by religions and his inability to answer basic philosophical questions. He cannot deal with infinity, he cannot deal with a multiverse and he thinks there was a beginning and will be an end of the single universe. That is nonsense. And very religious in implications, God Did It! No, Nature did it and is doing it and will always do it! 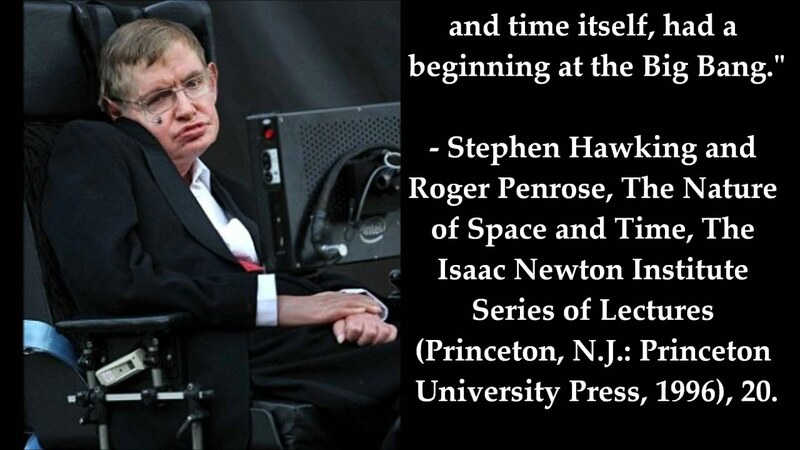 Hawking rejected all philosophy and said scientific knowledge has replaced it. That leaves him very welcome in the Vatican. It needs a far longer piece to elaborate the relationship between science and philosophy but sufficient to point out now that the enlightenment would never have happened if the philosophy of the Church was not successfully philosophically challenged. Religious miracles were driven out of science by the adoption of the scientific method based on a pantheistic model of God as the great watchmaker. But it was never defeated completely and is making a comeback now with many of my opponents here and elsewhere in other threads obviously having no philosophical understanding of why there is no god. And of course, the majority of these are anti-Marxists and defenders of capitalism. Revolution in nature and society is an anathema to these creatures. And Marxism did not stop with Marx and Engels, or with Lenin and Trotsky but we must continually update and advance it. All the main religions paid gracious tributes to Hawking on his death, with the Vatican and the Pope make the sincerest tributes because they recognised his backwardness in philosophy was essentially compatible to their own reactionary determined opposition to every step forward humanity had made towards human liberation in the last two millennia. Anglican Archbishop Justin Welby of Canterbury tweeted, “Professor Stephen Hawking’s contribution to science was as limitless as the universe he devoted his life to understanding. His was a life lived with bravery and passion. As we pray for all those who mourn him, may he rest in peace. Blessed Paul VI named Hawking a member of the papal academy in 1968. The academy’s members are chosen on the basis of their academic credentials and professional expertise – not religious beliefs. Here are some extracts from Wikipedia on the scientific controversies around the Big bang. I make no claim to understand the science behind all these but I do understand the trust of the arguments here. Lerner claims to be a Marxist. Through years of research, physicists have experimentally confirmed with tremendous accuracy virtually every prediction made by these two theories when in their appropriate domains of applicability. In accordance with their findings, scientists also learned that GR and QFT, as they are currently formulated, are mutually incompatible – they cannot both be right. Since the usual domains of applicability of GR and QFT are so different, most situations require that only one of the two theories be used. :842–844 As it turns out, this incompatibility between GR and QFT is apparently only an issue in regions of extremely small-scale and high-mass, such as those that exist within a black hole or during the beginning stages of the universe (i.e., the moment immediately following the Big Bang). To resolve this conflict, a theoretical framework revealing a deeper underlying reality, unifying gravity with the other three interactions, must be discovered to harmoniously integrate the realms of GR and QFT into a seamless whole: a single theory that, in principle, is capable of describing all phenomena. In pursuit of this goal, quantum gravity has become an area of active research. In 1991, my book, the Big Bang Never Happened(Vintage), presented evidence that the Big Bang theory was contradicted by observations and that another approach, plasma cosmology, which hypothesized a universe without beginning or end, far better explained what we know of the cosmos. The book set off a considerable debate. Since then, observations have only further confirmed these conclusions, although the Big Bang remains by far the most widely accepted theory of cosmology. This website provides an update on the evidence and the debate over the Big Bang, including the latest technical review and a reply to a widely- circulated criticism as well as a technical reading list, a report on a recent workshop and links to other relevant sites, including one that described my own work on fusion power, which is closely linked to my work in cosmology. What is the evidence against the Big Bang? The Big bang theory predicts the density of ordinary matter in the universe from the abundance of a few light elements. Yet the density predictions made on the basis of the abundance of deuterium, lithium-7 and helium-4 are in contradiction with each other, and these predictions have grown worse with each new observation. The chance that the theory is right is now less than one in one hundred trillion. The Big bang theory predicts that no object in the universe can be older than the Big Bang. Yet the large-scale voids observed in the distortion of galaxies cannot have been formed in the time since the Big Bang, without resulting in velocities of present-day galaxies far in excess of those observed. Given the observed velocities, these voids must have taken at least 70 billion years to form, five times as long as the theorized time since the Big Bang. One of the striking predictions of the Big Bang theory is that ordinary geometry does not work at great distances. In the space around us, on earth, in the solar system and the galaxy (non-expanding space), as objects get farther away, they get smaller. Since distance correlates with redshift, the product of angular size and red shift, qz, is constant. Similarly the surface brightness of objects, brightness per unit area on the sky, measured as photons per second, is a constant with increasing distance for similar objects. The Big Bang theory requires THREE hypothetical entities–the inflation field, non-baryonic (dark) matter and the dark energy field to overcome gross contradictions of theory and observation. Yet no evidence has ever confirmed the existence of any of these three hypothetical entities. Indeed, there have been many lab experiments over the past 23 years that have searched for non-baryonic matter, all with negative results. Without the hypothetical inflation field, the Big Bang does not predict an isotropic (smooth) cosmic background radiation(CBR). Without non-baryonic matter, the predictions of the theory for the density of matter are in self-contradiction, inflation predicting a density 20 times larger than any predicted by light element abundances (which are in contradiction with each other). Without dark energy, the theory predicts an age of the universe younger than that of many stars in our galaxy. While the Big bang theory requires that there is far more dark matter than ordinary matter, discoveries of white dwarfs(dead stars) in the halo of our galaxy and of warm plasma clouds in the local group of galaxies show that there is enough ordinary matter to account for the gravitational effects observed, so there is no room for extra dark matter. The hypothetical dark energy field violates one of the best-tested laws of physics–the conservation of energy and matter, since the field produces energy at a titanic rate out of nothingness. To toss aside this basic conservation law in order to preserve the Big Bang theory is something that would never be acceptable in any other field of physics. Plasma filamentation theory allows the prediction of the mass of condensed objects formed as a function of density. This leads to predictions of the formation of large numbers of intermediate mass stars during the formations of galaxies. These stars produce and emit to the environment the observed amounts of 4He, but very little C, N and O. In addition cosmic rays from these stars can produce by collisions with ambient H and He the observed amounts of D and 7Li. In the plasma model, superclusters, clusters and galaxies are formed from magnetically confined plasma vortex filaments. The plasma cosmology approach can easily accommodate large scale structures, and in fact firmly predicts from basic physical principles a fractal distribution of matter, with density being inversely proportional to the distance of separation of objects. This fractal scaling relationship has been borne out by many studies on all observable scales of the universe. Naturally, since the plasma approach hypothesizes no origin in time for the universe, the large amounts of time need to create large-scale structures present no problems for the theory. The plasma alternative views the energy for the CBR as provided by the radiation released by early generations of stars in the course of producing the observed 4He. The energy is thermalized and isotropized by a thicket of dense, magnetically confined plasma filaments that pervade the intergalactic medium. It has accurately matched the spectrum of the CBR using the best-quality data set from the COBE sattelite. Since this theory hypotheses filaments that efficiently scatter radiation longer than about 100 microns, it predicts that radiation longer than this from distant sources will be absorbed, or to be more precise scattered, and thus will decrease more rapidly with distance than radiation shorter than 100 microns. Such an absorption has been demonstrated by comparing radio and far-infrared radiation from galaxies at various distances–the more distant, the greater the absorption effect. New observations have shown the exact same absorption at a wavelength of 850 microns, just as predicted by plasma theory. Bobkin here explains that Stephen Hawking had completed his “’breath-taking’ final multiverse theory “ just two weeks before he died: “Colleagues have revealed the renowned theoretical physicist’s final academic work was to set out the ground-breaking mathematics needed for a spacecraft to find traces of multiple big bangs. The final sentence again demonstrates his philosophical backwardness; matter, energy, motion and time are a continuum, they cannot “run out”. They can only constantly change and interchange. « SPINOZA, THE JEWISH ATHEIST? “The Hawking-Hartle model describes the universe in its early stages and explains that there was no existence of time before the Big Bang and that the beginning of the universe as a concept is meaningless. Using this as a framework, the model backs the Big Bang theory by giving theoretical proof that the universe instantaneously inflated from a singularity into what it is today. “But, the model also threw up the perplexing and unmeasurable possibilities of an infinite number of Big Bangs, and in effect the possibility of each creating their own universe, in a large “multiverse”. You seem to be misled by statements that Hawking held that “the universe” is dateable to the big bang. Yes, but not the “multiverse.” Multiverse theorists still speak of “our universe.” This is only a semantic issue. Lerner (but I’ve only skimmed the material) doesn’t endorse your multiverse theory, but rather stands for a single universe as all of reality. He disputes the very occurrence of a big bang. Personally, I can’t adjudicate the issue of the big bang – although I entirely agree with you that the idea of a singular big bang is necessarily idealist. However, where you and I disagree sharply regards the ontological status of infinity. I think infinity when (mis)applied to an existing state of matter is idealist. God is (supposedly) infinite; matter always comes in some definite quantity.